The Peak District National Park was the first national park to be set up in Britain in 1951 and encompasses 542 square miles of protected land. 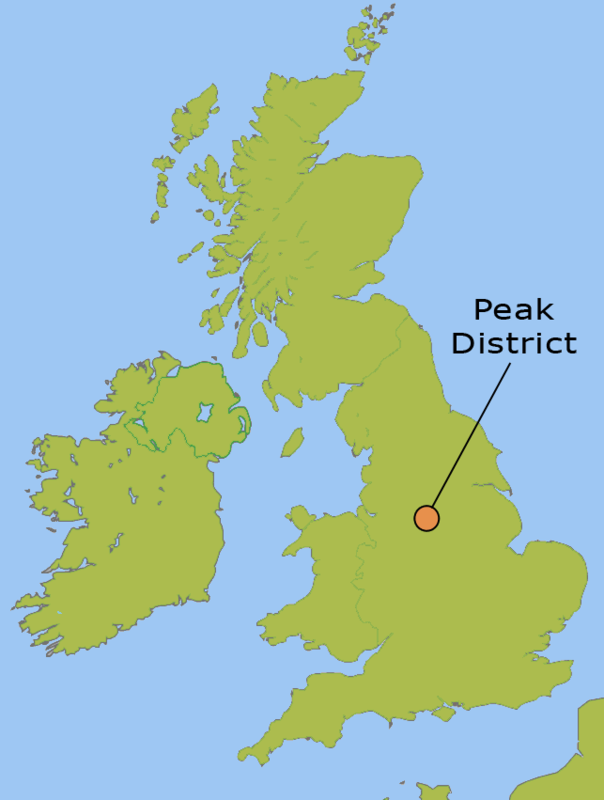 The Peak District can be roughly divided into the High or Dark Peak & the White Peak. The White Peak of the south encompasses steep sided, wooded limestone gorges & bright green fields, criss-crossed by dry stone walls. There are also many unspoilt & idyllic villages which provide excellent lunch stops en-route. In contrast the Millstone grit of the High Peak provides a much more rugged & remote destination to explore with many reservoirs & lakes which punctuate the landscape. Much of the region was converted into a hunting ground by the Normans, when the Royal Forest of the Peak was governed from Peveril Castle, above Castleton. Wealth generated from sheep farming & mining is reflected in the many fine historic buildings such as Haddon Hall, Chatsworth house, Eyam Hall & the Crescent at Buxton. Recently I arranged a tour for my friend Pat, from New York. Pat commented that most people who aren’t from Great Britain don’t know a great deal about the Peak District and kindly wrote the following piece for me, which helps to describe the Peak District to someone who isn’t familiar with the area. The Peak District is an oval-shaped oasis of lush hills and mountains just 15 miles east of Manchester. In 1951 this region of the Pennine Mountains was designated as England’s first national park, and it now offers some of the country’s finest cycling and hiking opportunities. Its scenery is striking for its beauty and variety, while its settlements are memorable for their traditional appearance. The rolling terrain, streams, forests and moors recall sections of West Virginia and Vermont, while the stone cottages in the hamlets as well as the nearby sheep meadows enclosed by low stone walls maintain a picturesque English landscape largely ravaged elsewhere over the past two centuries. A few sites within the area were chosen by nobility in the Baroque or Victorian era to house their gracious stately homes and gardens. Whether cycling or hiking or combining the two, Peak Tours will put you on quiet and beautiful pathways suited to your needs for reflection, relaxation, ambling, or physical challenge, far from the frenzy of urbanized England yet always comfortably close to a pub with a genial atmosphere, great beers, and a fine, diverse menu.